Cape Town – An increasing logjam in the SA conference … and our teams off to a notably back-foot start in combat against New Zealand sides. Those were the key features of the latest round of Super Rugby, as it affects this country, after all four local outfits were in action on Saturday against overseas opponents. The results outcome was two wins from four, with the Lions and Sharks prevailing against the Sunwolves in Singapore and Rebels in Durban respectively, the Stormers being edged out by the Hurricanes in Wellington and the Bulls the really big losers at Loftus where the previously under-the-weather Chiefs unexpectedly ran riot against them to the tune of 56-20 and seven tries to two. It was a sharp correction, all of the wrong kind, for Pote Human’s charges after their otherwise bright start to 2019. Events in Pretoria will also only have deepened the uncertainty many South African observers are likely to have about which horse to back from the group. The outcome meant the Bulls slide to fourth on the conference table, now only ahead of the Jaguares who were off this weekend, although the Highvelders do remain well in touch at this stage with all of the trio above them. Albeit under-strength due to a plague of injuries, last season’s losing finalists the Lions have streaked to the top of the SA log and second overall, courtesy of their bonus-point triumph over the now officially doomed (after 2020, anyway) Japanese outfit. It seems as good a time as any for them to enter a bye week, as they now do, perhaps with a fair prospect of certain crocked squad members returning to availability in a fortnight. But it is far from a comfortable lead for the Jo’burgers, as the Sharks (three points behind), Stormers (four adrift) and Bulls (five) all boast a game in hand over them. 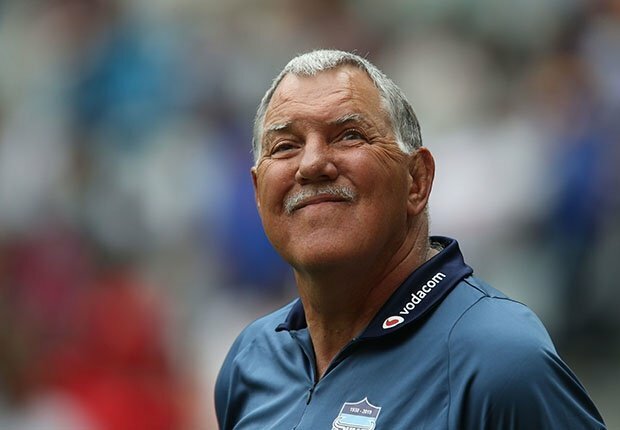 So a lottery situation is developing in the conference, although some of the fog may clear a bit when the Sharks tackle their speedy home return derby against the Bulls at Kings Park next Saturday – only three weeks after they were thumped 37-14 at Loftus. It is already tempting to suggest the Sharks have a strong chance of revenge, especially as the Bulls suffered further unedifying developments against the Mooloo Men with the sight of their ace Springbok No 8 Duane Vermeulen leaving the field before half-time with a knee problem and not returning. He had been one of few Bulls players doing his utmost up to that point to halt the Chiefs’ handsome charge, through his sheer physicality and ability to slow down the New Zealanders’ swift recycling plans at breakdowns. Once Vermeulen had left the fray, the tourists – winless beforehand in the season so far – only redoubled their utter dominance of the contest on the deck, although they bossed many other departments as well. Little subsequently occurred to cast any doubt around the lineout maestro’s observations, although Bok midfielder Jesse Kriel was one home-based player to emerge with honour for a consistently energetic performance. Still, it is not as though next foes the Sharks were irresistible in Durban against a Rebels side resting several regular first-teamers. Their general showing was satisfactory more than it was scintillating en route to the 28-14 win; for at least two-thirds of the game the Sharks used largely unsubtle methods to try to break down the Aussies’ defence, creating few opportunities for their lethal wider backs. And when the ever-sharp Makazole Mapimpi bolted clear for what would have been a deserved and crowd-pleasing second personal try, from long range – it would have given them a few additional minutes to find one more dot-down for a bonus point – his effort was mortifyingly thwarted by television evidence of a needless coat-hanger tackle off the ball by substitute centre Marius Louw that earned the offender a yellow card. Earlier on, in distant Wellington, the Stormers’ cohesive and powerful pack – even minus main enforcer Eben Etzebeth – had reason to feel peeved about the 34-28 loss to the Hurricanes after their yeoman efforts which were largely undone by the attacking impotence and some defensive frailties in the back division. Friday: Hurricanes v Crusaders, 08:35; Waratahs v Sunwolves, 10:45. Saturday: Blues v Stormers, 08:35; Reds v Rebels, 10:45; Sharks v Bulls, 15:05; Jaguares v Chiefs, 23:40. Byes: Lions, Highlanders, Brumbies.